As soon as you arrive at the house, you will get greeted by lawns, greenery and a manor and also a bit of surprise from its amazing decor. 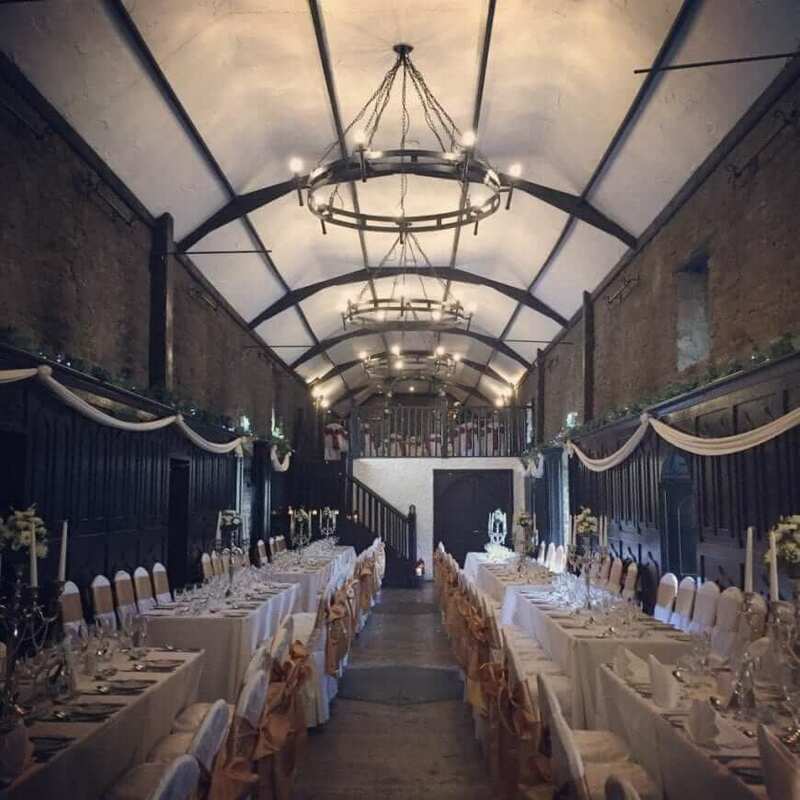 The venue is a mix of eclectic, vintage with a tiny splash of a country manor and there are bold colours with modern arts and the antique pieces. One of the big features of Bellinter House is their civil ceremony facilities. You can get married under the iconic weeping tree or use the Nunnery which has a chapel feel to it. Your guests will enjoy their stay with unique style rooms, the Bathhouse spa, and the award-winning restaurant. Glebe Gardens is as organic as you could possibly find. The family home of Jean and Peter has been transformed into this incredibly special place. When you walk into Glebe Gardens, you are in their family back garden so you are treated like a friend more so than a general visitor. The lunch was very fresh and straight from the garden. They also have their own bakery! There is an indoor restaurant which can take apx. 40 guests, which is ideal for a small intimate wedding. It can extend outdoors which is covered by ships sail and your guests are fully protected against the rain. The Johnstown Estate sits on acres of greenery and forestry. The house itself is a restored 18th-century Georgian residence and has many of the original features. I liked the wedding entrance as there are a beautiful self-playing grand piano, private drinks reception area, and civil ceremony location. 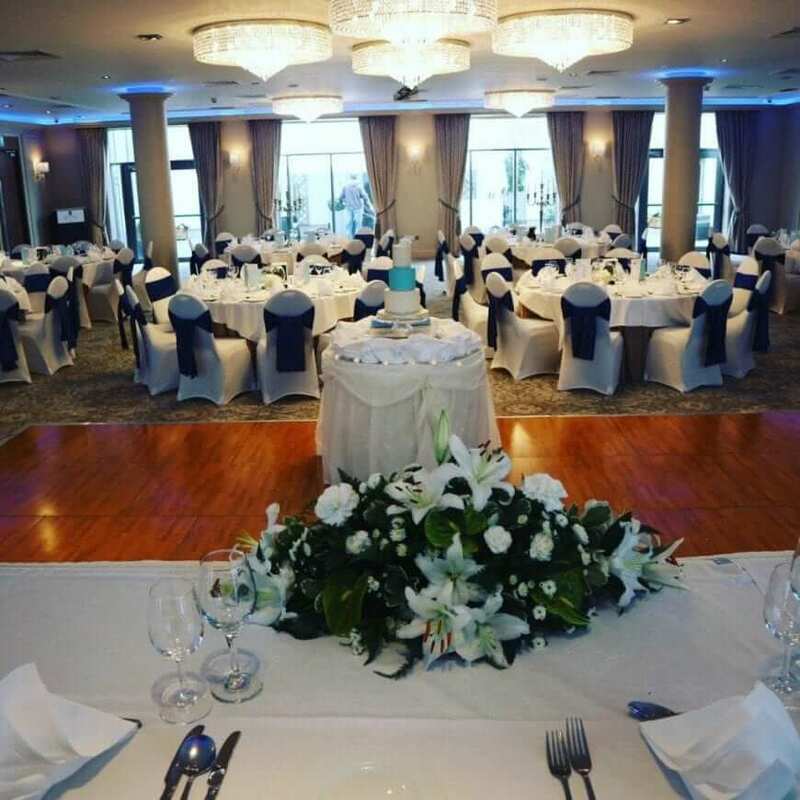 The O’Rorke Suite is the wedding ballroom and it can adapt in many forms to suit your wedding size and requirements. The Lady Margaret Suite is where you stay on the night of your wedding and it is like having your own luxury apartment for the day! The Station House Hotel is located in Kilemssan. It was once a train station and still has many of the original features. 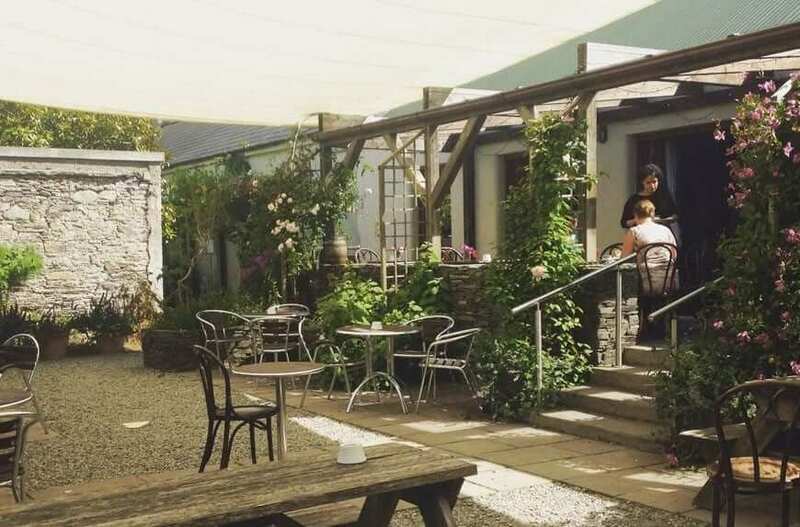 One of the key features of the Station House Hotel is its unrivalled setting. The hotel still sits on a retired train station grounds. The venue is surrounded by beautiful woodlands and gardens. The iconic ‘Turn Table’ is from the actual train station and is now the outdoor location for your civil ceremony. The original Signal Box, now the Signal Suite is the only one of its kind as it is now the bridal suite. 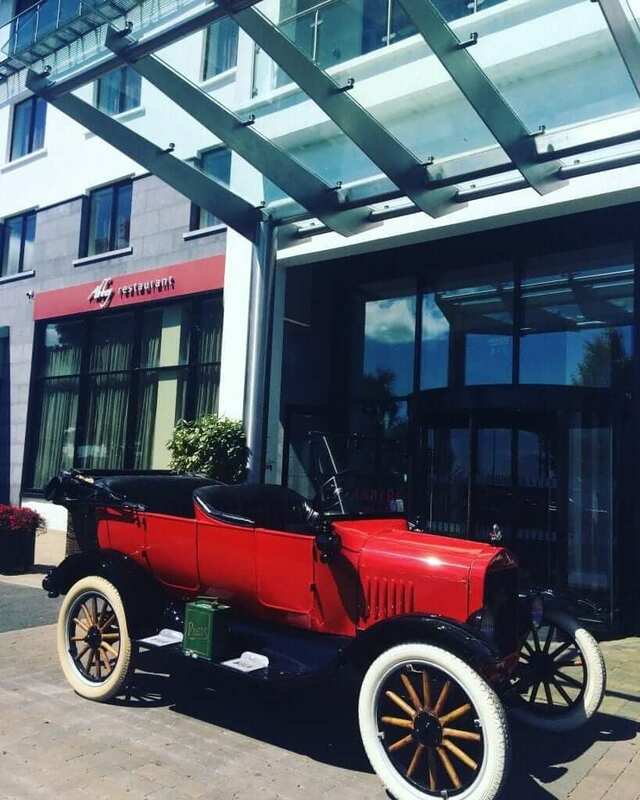 Loughrea Hotel and Spa is the 4-star luxury hotel in Galway. 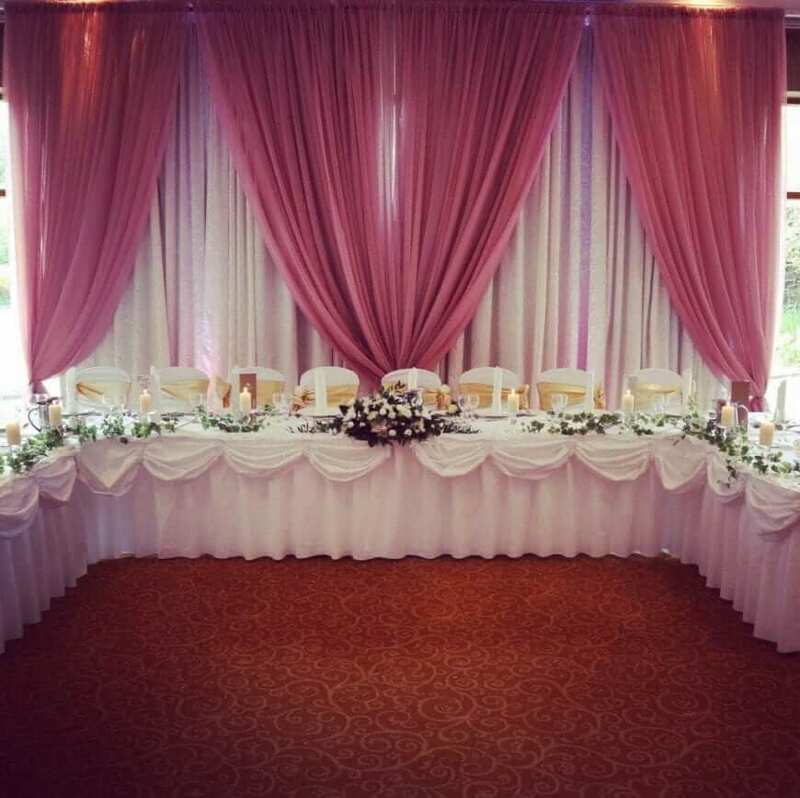 The decor is really stunning and the room was really amazing as it overlooked Loughrea Lake. The rooftop garden bar is very unique and the food was really good! The spa has an abundance of treatment rooms and a nail & pedicure bar. You can get your full bridal package for all of the general treatments for your bridal party. The ballroom is spacious enough to host a large wedding or flexible for a smaller wedding. The pre-ception are is huge, bright and airy with big comfy sofas and a grand piano. The bridal suite is massive too. 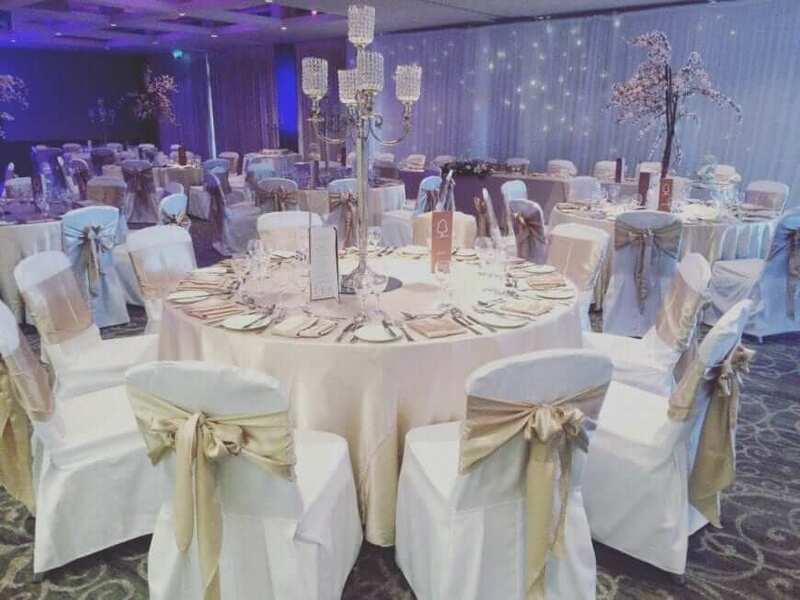 The wedding team work very closely with event decor companies and can advise on themes and styling for your day. As you enter, you can’t help but be impressed by the lobby/reception area. It has a blend of old and new decor, from a beautiful ornate reception and a contemporary lounge area. The Ballroom is very glamorous…it oozes Hollywood Glamour. The food is of a very high standard and the resident pastry chef bakes goods and desserts on the day. The bridal suite is every girl’s dream bedroom. 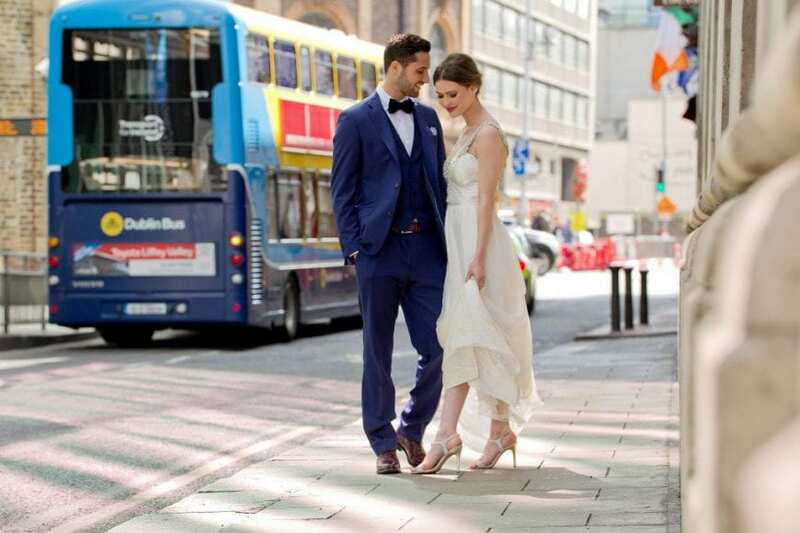 This venue is perfect for a Hollywood/cosmopolitan style wedding and the most important thing is that your wedding is in very safe hands with the wedding team here. 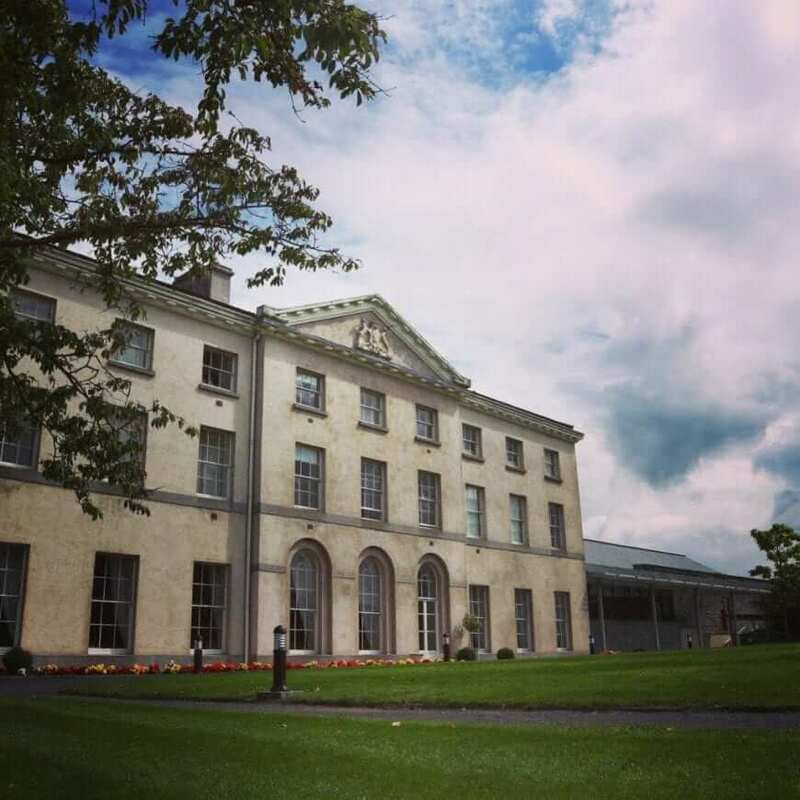 When you arrive, you will see the venue is surrounded by their highly acclaimed golf course and Phoenix Park is a stones throw away. Beautiful locations on the hotel grounds are perfect for outdoor wedding photography. The hotel really understands the decor expectations that brides and grooms now have. The new colour scheme of the room is very light and refreshing to go into a ballroom. There is a dance area and a big bar which makes the flow of your day very easy. The Park Restaurant is just perfect for a special occasion, such as rehearsal dinner and small intimate weddings. Tullamore Court Hotel is a 4-star hotel in Tullamore. The hotel is almost 20 years old and most of the staff that opened the hotel, are still there today. The decor is neutral and traditional and there are some splashes of contemporary here and there. The guest rooms are huge and the Presidential Suite and D.E Williams Suite are very striking with its size and beautiful style. The hotel provides a lot of gorgeous décor and it is impressive as you walk in. There is unbelievable value to be had here with great wedding packages and your guests will have a ball too as there is a leisure center. You will be treated like royalty and it won’t break the bank! As you drive up the avenue, the house is so impressive as it sits on top of a hill. The house is surrounded by never ending views of green fields. When I visited, I really felt that I was somewhere very special. As soon as you walk through the door you are greeted with a very warm welcome and very striking decor. 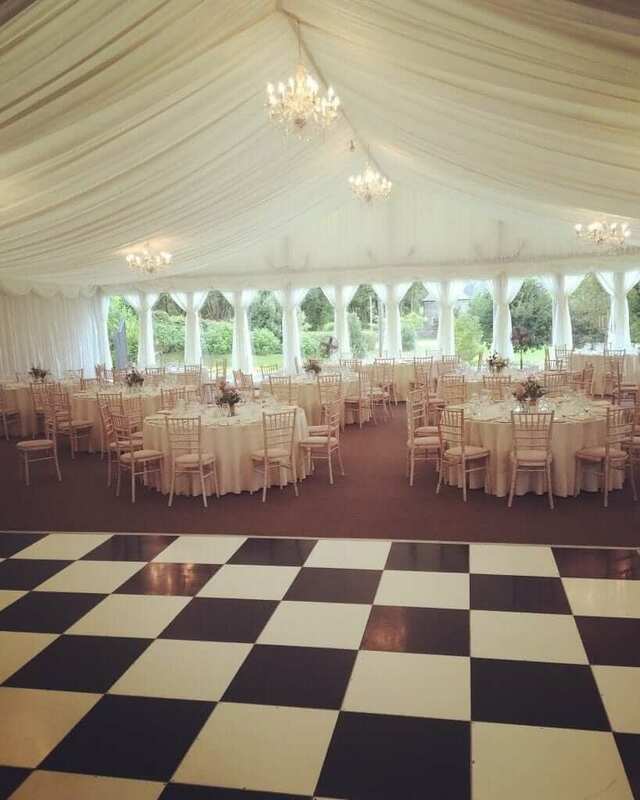 The decor is vintage style and this runs right through to the Ballroom which is named ‘The Grand Marquee’. It is a dressed in all white and has marque style draping. This is a DIY bride and grooms’ heaven. What I love about Kinnitty Castle is its great grandeur yet it has a balance of warmth and friendliness. My favourite is the walkway to the bridge. The decor at arrival receptions is an old world with plenty of large-scale paintings, high ceilings and antique furniture. 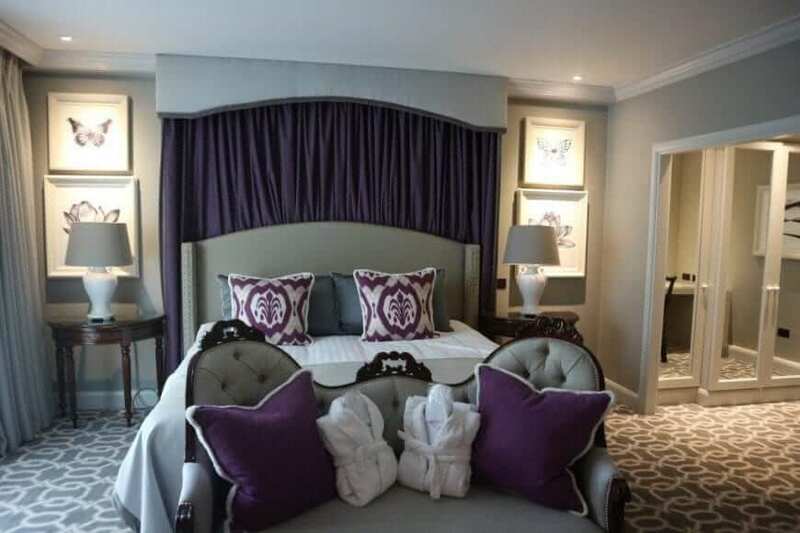 The bridal suite is unreal and so luxurious. The Great Hall for your banquet is a rectangular shape and you can have one long table running the whole way down. It is like Hogwarts banquet hall from Harry Potter. If you love a medieval style, vintage and not a fan of a modern look, this is really worth considering! The Farnham Estate Hotel makes you feel like you are in a resort away from all of the madness. The venue is surrounded by acres of greener, woodlands, golf course and a lake. The ballroom is contemporary but very understated. You have plenty of room to bring in arrival music, candy carts, photo-booths or whatever you wish to do. They also have a private area for brides and grooms! Your guests can enjoy all of the leisure amenities; such as ESPA facial and infinity pool. The great dinner in the Botanica Restaurant will make your wedding more amazing. 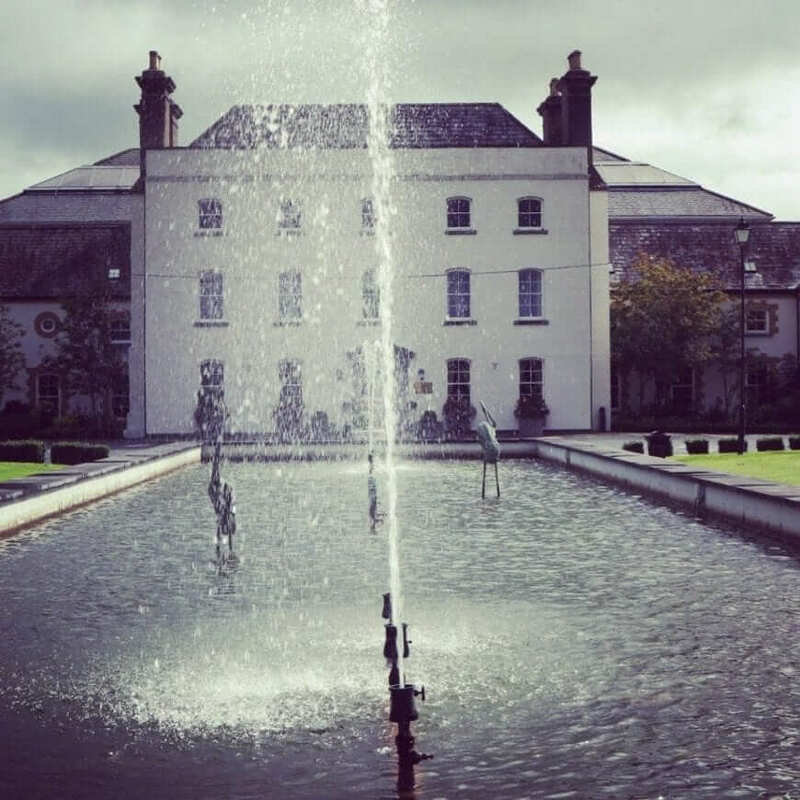 My experience at Charleville Park Hotel was so warm and friendly and effortless to the team. The overall decor of the hotel is contemporary and a private bar area for guests was one of my favourite spaces. The Ballroom is so impressive too. the neutral, contemporary decor gives a sense of calm and the modern chandeliers add a touch of glamour. 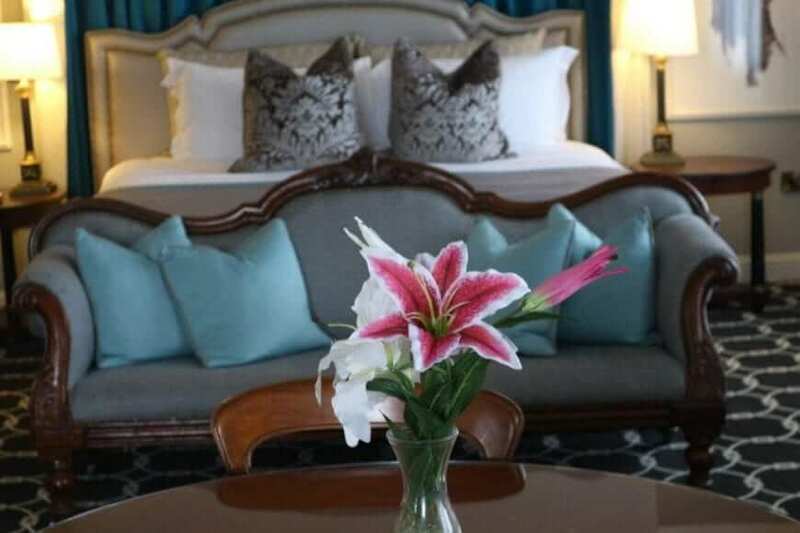 The bridal suite boasts space, luxury, and comfort. The food is so tasty, I assure you, no one will go hungry! Overall, this venue is so endearing and ‘on the ball’ when it comes to a wedding. The Killeshin Hotel is a 4-star hotel in Portlaoise. As it is part of the Só Hotel group, there is a distinctive decor theme and what I loved about this hotel was its warmth. When you enter the lobby, the wall patterns would make for very cool back drop to your wedding pictures. The red carpet is rolled out upon arrival. The reception area is very spacious and opens to an outdoor private courtyard where your guests can chill out in the open marquee area. There is a suite available for civil ceremonies and the room was dressed with cherry blossoms, lanterns, flower petals and cute signage. 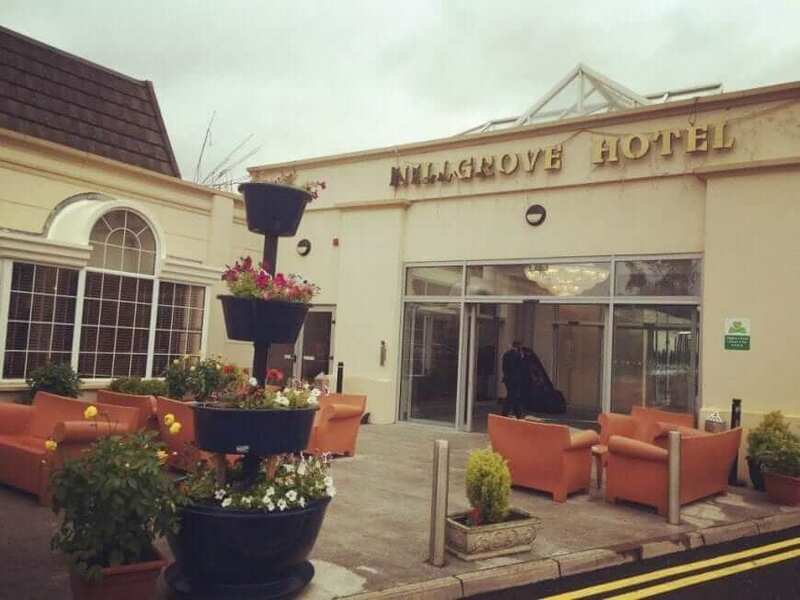 Hillgrove Hotel is one of the finest Wedding venues in Ulster. The decor is very distinctive, quirky and vibrant. If you are looking for something unique, young, and fun, this venue will be right up your alley! The service is absolutely super with so natural and friendly staffs. You have plenty of options available in terms of suites and wedding packages. There are 2 main suites and they are adaptable pending the size of your wedding. The packages are very straight forward and the price point is pretty compelling. Also, the Hillgrove is a fantastic leisure retreat; such as a kid’s entertainment, pool, and Lir Spa. The rooms are so spacious and very reasonably priced for guests attending the wedding too. 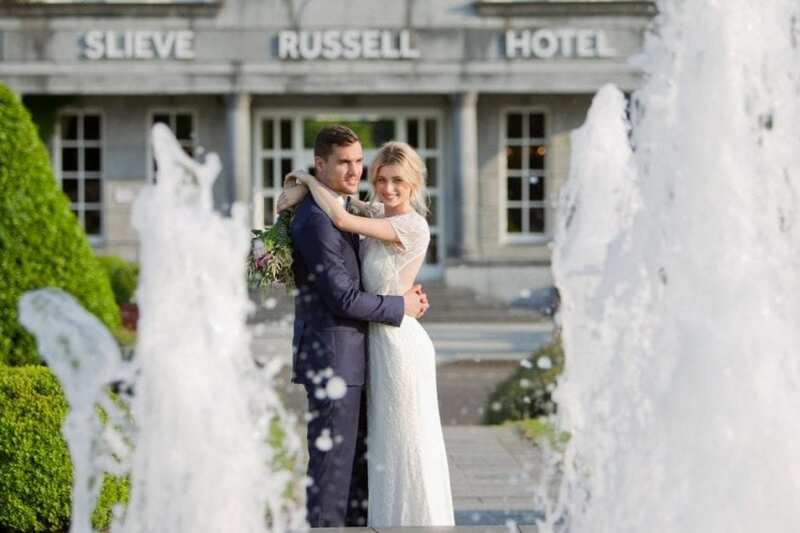 The Slieve Russell Hotel Golf & Country Club is the perfect location for your dream wedding! Situated among 300 acres of impeccably manicured grounds including 50 acres of lakes, which make for the most amazing backdrop for your wedding photos! 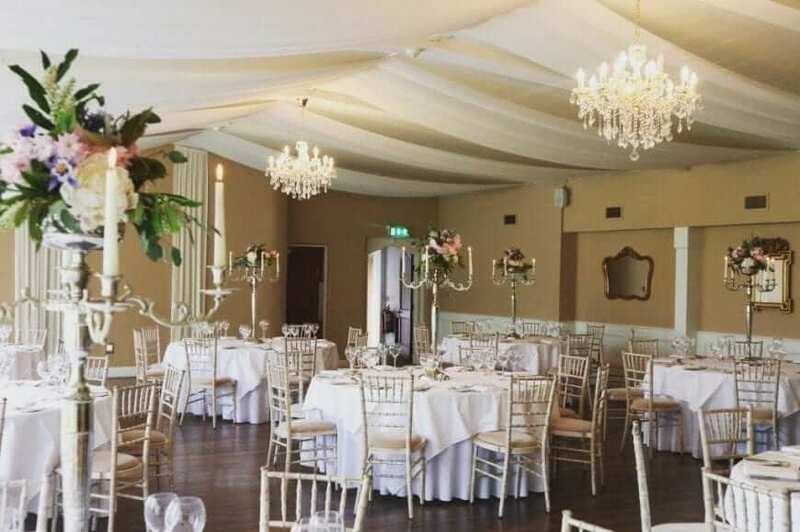 A stylish & romantic country venue in Ireland, close to Dublin. 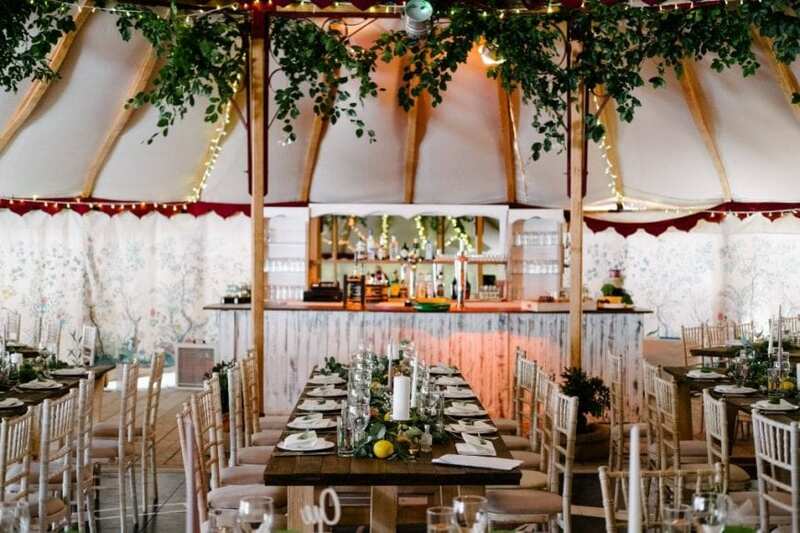 Ballintubbert is a unique wedding venue that hosts festival style weddings with boutique camping. Located in the beautiful West of Ireland, Mount Falcon is well known as one of the top wedding venues in Ireland. The Mount Falcon Estate lies between the lakes of Conn and Cullen and the mighty River Moy between Foxford and Ballina, in County Mayo. 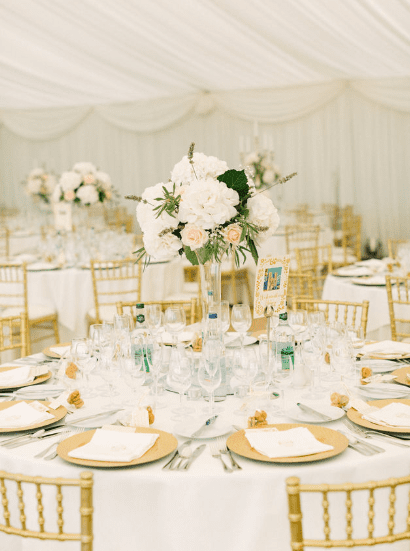 Imagine your wedding day encircled by the spectacular natural beauty of the rolling Kilkenny countryside, set amongst 140 acres of private land, with sweeping fairways, elegant water features and a superbly manicured golf course. We want you to celebrate your wedding your way and we pride ourselves in ensuring that every marriage here is completely unique and bespoke. 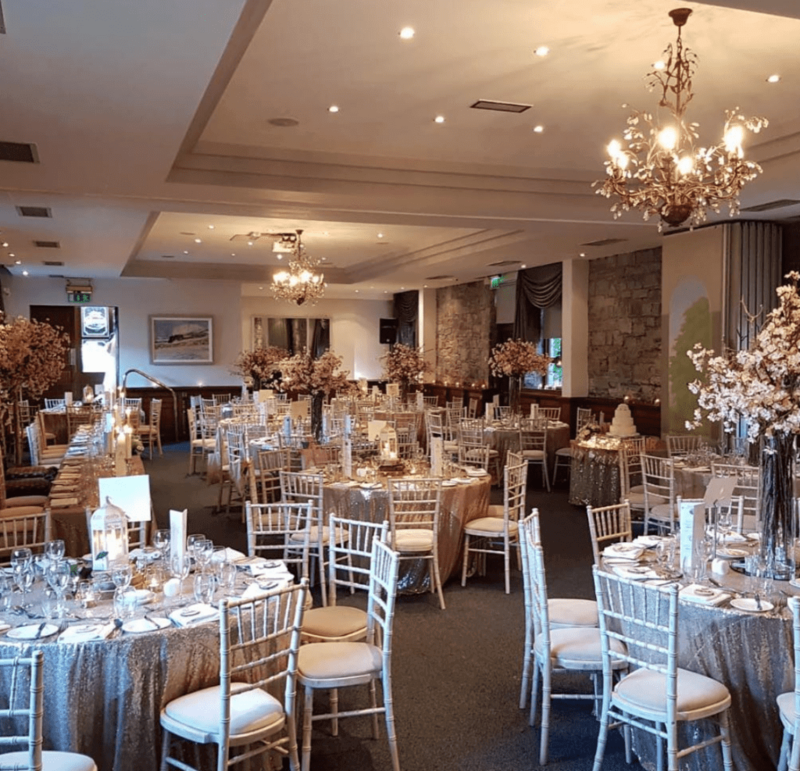 If you are looking for a beautiful and unique wedding venue in Westport then look no further than The 4 Star Westport Woods Hotel & Spa. 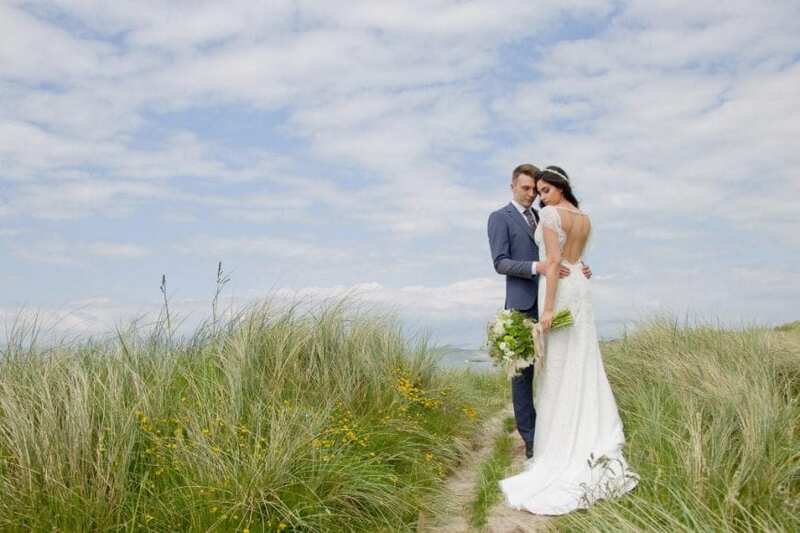 Westport Woods Hotel prides itself on being fabulously private and secluded making it the perfect wedding venue in Westport.